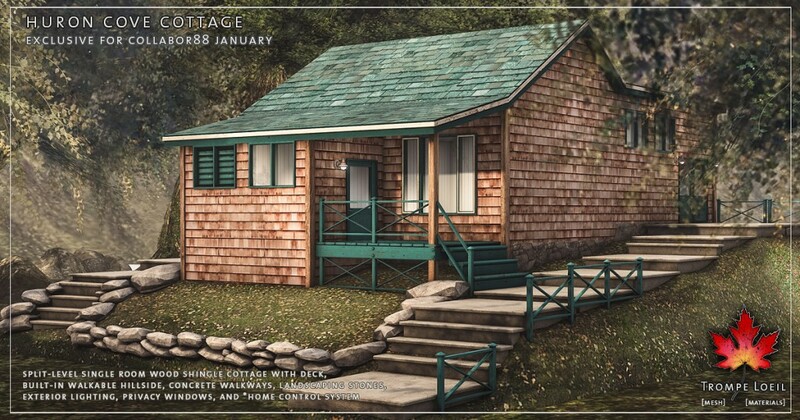 A new year, a new place to call home! 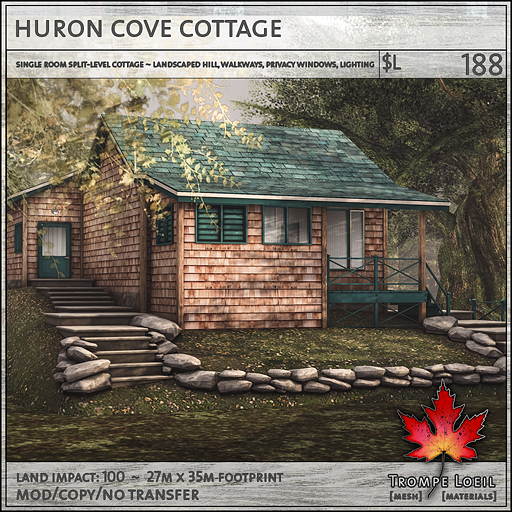 Our Huron Cove Cottage is made for daydreaming away long days on the river or lakefront – and its only at Collabor88’s January round! 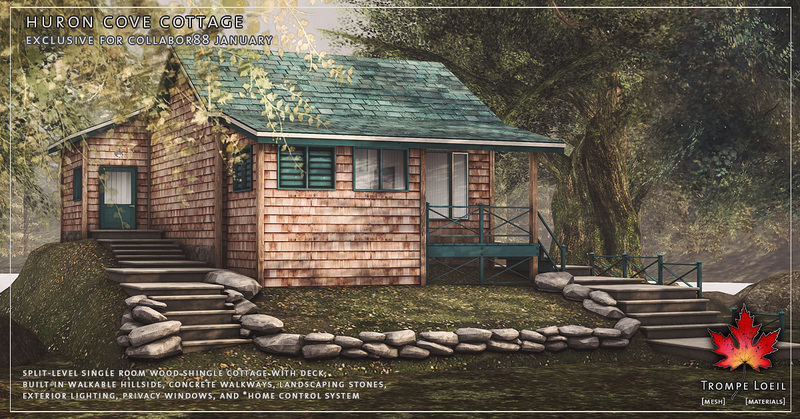 This single room, split-level cottage features built-in custom walkable hillside, landscaping stones, patio walkways, three entrances, privacy windows, exterior lighting, our *home control system, and a gorgeous wood shingled exterior with beautiful beachy white and natural neutral woods inside. Not ready to let go of winter? 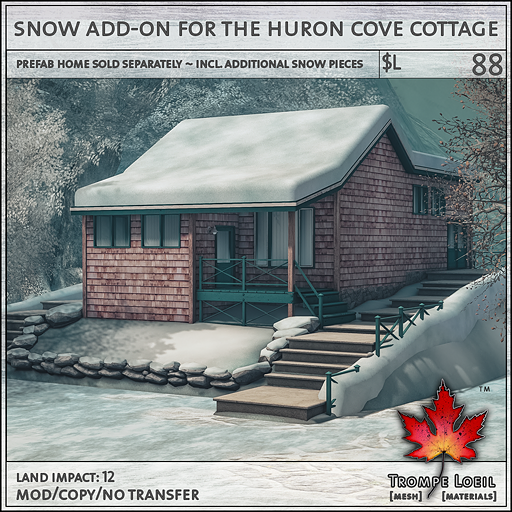 Get the matching Snow Add-On pack including custom snowy mesh ground texture replacements – its available at a low C88 price as well! Check out the on-site display, only at Collabor88’s January round!